It is hard to believe that we are amongst the holiday season. It always seems to creep up! Tomorrow we are back to school after Thanksgiving break and students tend to be a bit restless. Don’t tell the kids, but their teacher has counted the number of school days until winter break. Shhhh……we only have 19 school days!! Below you will find a coordinated collection of winter freebies. I hope that you find them useful, especially during the last few days before break! 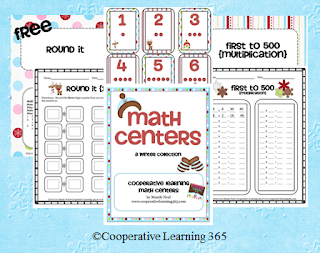 This Math Centers Mini Collection contains two different games both aligned to Common Core. Each game comes with a recording sheet, directions for play and playing cards. As an upper grades teacher, I have never been a true center user. So, this is something I would use for early finishers or as an anchor activity after a short lesson. Match It is similar to memory but with a twist. Students are up and moving around with this activity. Each student is given a card and they move around the room checking their classmate’s cards to find their match. Students love this. 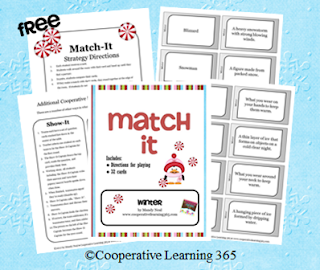 While the activity was made with Match It in mind, it can be used as a traditional memory game also. One of my favorite games, I have…Who has…!!! This game is not a new one, but I have updated it and added an additional eight cards. The next three freebies are items that serve different purposes. Exit slips for a quick check on student’s learning. 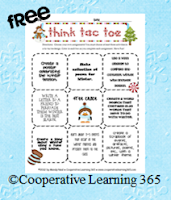 A winter themed Think Tac Toe that is perfect for early finishers, and Find a Buddy Who that gets your students up, walking around, and talking with a purpose. 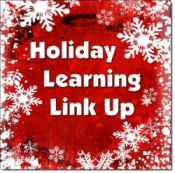 Laura Candler from Corkboard Connections is hosting a Holiday Learning Link-Up. 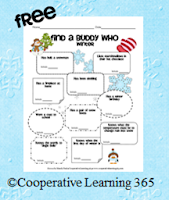 You will find many freebies and holiday learning ideas. It’s the season of giving!